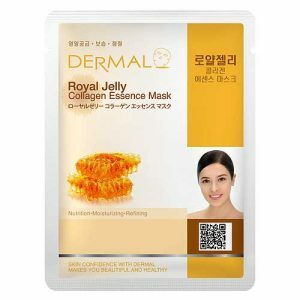 Dermal Pearl Collagen Essence Mask contains Pearl powder which is enriched with vitamins, amino acids, minerals, enzymes & natural soothing lightening properties. Pearl Powder is a powerful antioxidant. 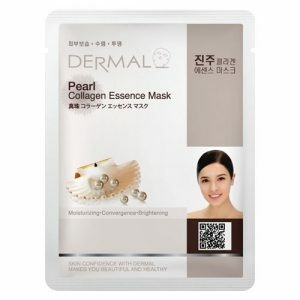 Dermal Pearl Mask reduce dark spots, melasma, freckles, and pigmentation. 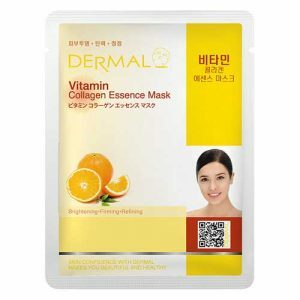 Keeps skin moist, soft & Bright. 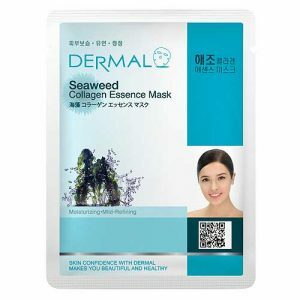 Ingredients: Water, Glycerin, Butylene Glycol, Hydrolyzed Collagen, Aloe Barbadensis Leaf Juice, Portulaca Oleracea Extract, Pearl Powder, Beta-Glucan, Panthenol, Tocopheryl Acetate, Polysorbate 80, Disodium EDTA, Xanthan Gum, Methylparaben, Fragrance. 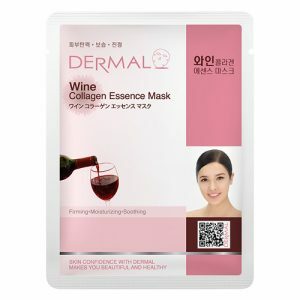 Dermal Wine Collagen Essence Mask is having Red Wine which is enriched with antioxidants like flavonoid, resveratrol and tannin which help fight ageing by restoring collagen and elastin. 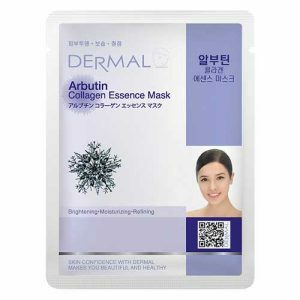 Dermal Wine mask contains Vitamin E, C, & B12, amino acids & skin essential nutrients. Keeps skin Clean & Bright. 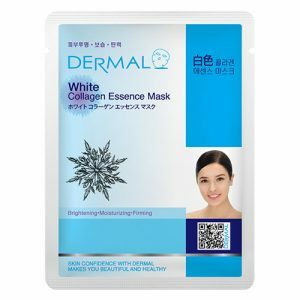 Dermal White Collagen Essence Mask develop to lighten the skin tone. 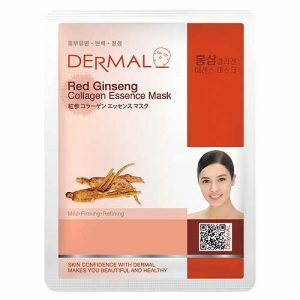 Dermal White Collagen Essence Mask reduce melasma, freckles, pigmentation, age spots & promotes lighten even skin tone.